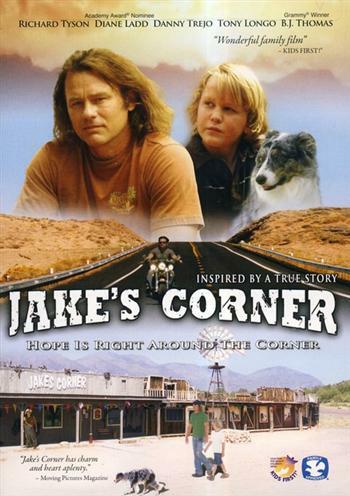 Ex-football star, Johnny Dunn, (Richard Tyson) walked away from the game early in his career to live a relatively secluded life far from the spotlight in a small, desert town he owns called Jake's Corner, a rest stop for travelers crossing the Arizona desert but for the people who live there (played by Diane Ladd, B.J. Thomas, and others). Johnny's quiet life is altered dramatically when his young nephew, Spence, is unexpectedly dropped at his doorstep. The boy brings a childlike innocence to this town of adults who, in turn, get to share their homegrown wisdom with him. Monterey Media Inc., DVD, Rated PG. Approx. 97 minutes.